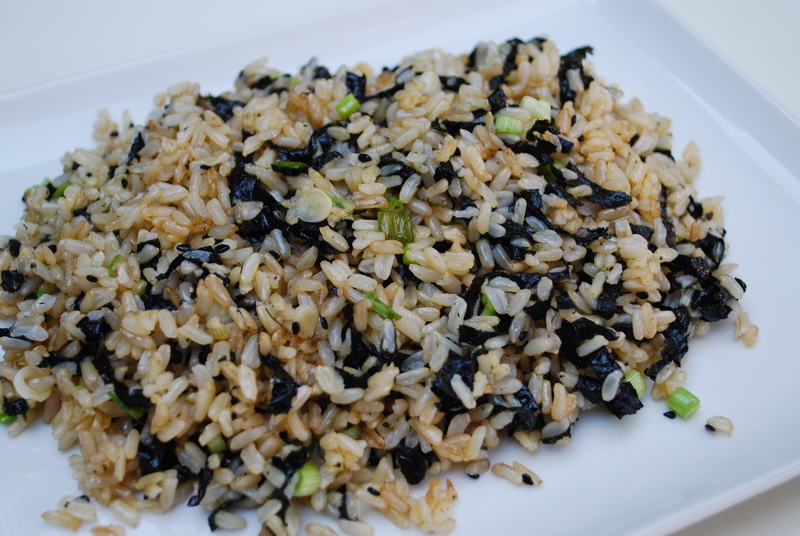 Stir-Fried Brown Rice with Seaweed & Black Sesame | Time to Cook! This rice is so delicious — one taste and you won’t believe you made it! Nothing hard about this — it just requires you to make the rice the day/night before. Great served with fish, chicken or steak with an Asian flavor profile. I have served this with Miso-Glazed Black Cod. Heat the olive oil in a large nonstick skillet set over high heat. Add the rice, along with a big pinch of salt, and cook, stirring, until warmed through and just barely beginning to brown, 2-3 minutes. Using scissors, shred the nori finely and add it along with the remaining ingredients. Stir to combine and serve immediately.